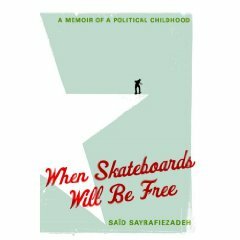 I recently caught up with Said Sayrafiezadeh, author of When Skateboards Will Be Free (my latest pick in our Best of the Month feature), to discuss his debut memoir and present-day perspective on politics, writing, and growing up as a "little revolutionary" in the Socialist Workers Party. Has your childhood caused you to embrace or run from politics today? SS: I have a difficult time thinking for myself when it comes to politics. Considering what my childhood was like I suppose this is a natural consequence. I try to stay up on the news as much as I can but I’m wearied by a lot of it. I’m also uneasy. Especially around election time when my anxiety is inflamed by the extreme urgency of both Democrats and Republicans. As a little boy, politics moved at a feverish pace. According to the Socialist Workers Party the world was always on the verge of total collapse, and it was up to us to do everything in our power to forestall that collapse. So as an adult I try to live above the fray as much as I can. My wife and I recently went to Washington D.C. for a week’s vacation. We took every tour we could: The Supreme Court, the House, the Senate, even the Pentagon. It was fascinating to actually visit these places that I had only ever seen at demonstrations. I found that I had a lot of respect and admiration for our political process. But this was countered by a certain amount of guilt, and, rightly so, reproof at some of the more egregious misrepresentations of American history. I have a curious relationship to my country that I haven’t entirely sorted out yet. How do you feel about the revolutionary heroes of your youth - Castro and Che, for example - as an adult? SS: I have a soft spot in my heart for them. I think I always will. Castro, Che, Malcolm X. These were the main revolutionary figures for me when I was a child. I considered them less like heroes and more like family. And I don’t think I’m overstating that. In fact, at times they were more personal to me than my family. Certainly more personal than my father whom I didn’t really get to know until I was eighteen. They acted as stand-ins for him. Even though Che and Malcolm X were already dead by the time I was born, I saw them as living, breathing companions, and I imagined that they were working to rescue me and my mother somehow. I felt comforted by this. Even to this day I cringe when I hear disparaging comments about them. But I’m able to handle criticism about my father. You recall some very personal memories in this book. 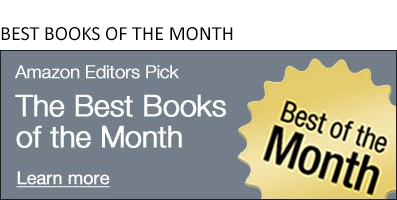 Would it have been easier to fictionalize the names and dates and write a debut novel? SS: Probably. But that’s not what motivated me to write this story. I was driven by a desire to have the truth be known precisely as it had occurred. To fictionalize it would have been an act of cowardice. The Socialist Workers Party has always prided itself on speaking out regardless of the consequences. In many ways I’ve become the ideal party member. That’s the irony. Who has influenced your writing the most? There is no shortage of eloquent thinkers in your family. SS: I don’t really know. Perhaps it’s a combination of things. The theatre had a big impact on me, for one. I acted in plays as a child and I was profoundly affected by the experience of dramatizing events. And my uncle, Mark Harris, was a successful author, so I saw that it was something that was possible to do. On the other hand, my mother was consistently frustrated in her desire to be a writer. I would often see her working on short stories or taking classes. She had little or no success, but at least writing was a part of our household. I knew she had other aspirations besides socialist revolution. How has your father reacted to When Skateboards Will Be Free? SS: In the fall of 2005 I published an essay in Granta about my childhood, and which ended up becoming the foundation for this book. My father hasn’t spoken to me since then. I’m sure he was offended by what I said about him and the Socialist Workers Party. Maybe he was also mortified about the consequences of his abandonment. I’d like to think so. My father’s still a leading member of the Socialist Workers Party, and his reaction has not been much of a surprise since politics have always trumped family. Which is essentially what my memoir is about. So in some ways my point has been proven.